SCORE 2016 in Austin, Texas! SCORE 2016 will be held as part of ICSE 2016 in Austin, Texas. The SCORE Contest is aimed at promoting and fostering software engineering in universities worldwide. 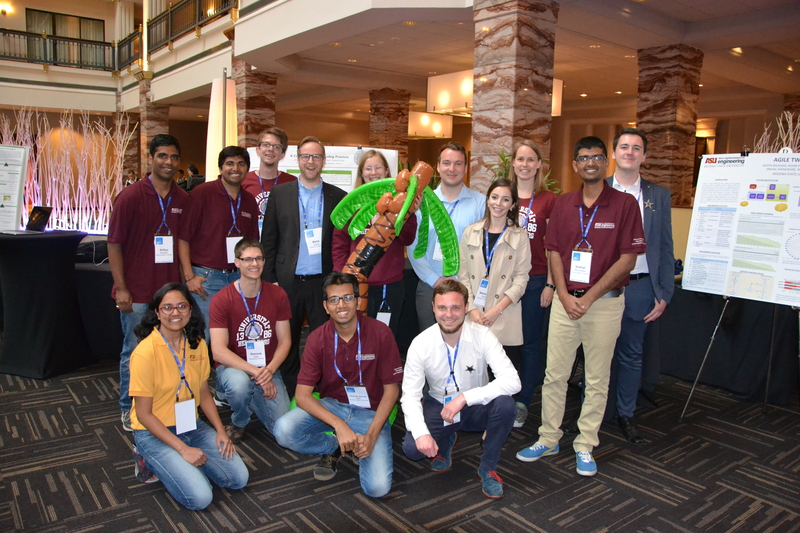 Student teams from all over the world participate in a competition for students from undergraduate to master's level. Each team will develop a software project chosen from a list of projects proposed and sponsored by program committee members. The final deliverable is a report and an accompanying executable system. Evaluation will based on the quality of all aspects of the software engineering process followed, as well as the resulting system. In order to accommodate a wide range of academic calendars, the SCORE 2016 Contest will run from January 2015 to January 2016. Finalist teams will be invited to ICSE 2016 in Austin, Texas. Congratulations to the team, and thanks to all finalists for their great presentations at the conference! Congratulations to the three finalist teams of SCORE 2016! The finalist teams will present and demo their projects during the poster session at the Wednesday evening reception (Wednesday 18 May 2016, starting at 7:00 PM). Anyone at ICSE is welcome to join! The program committee proposes projects, sets rules and policies, reviews project results, and selects finalists for SCORE 2016 in Austin, Texas. It is a substantial amount of work over a substantial period of time, and we are grateful to these leading researchers, teachers, and practitioners for volunteering their effort.